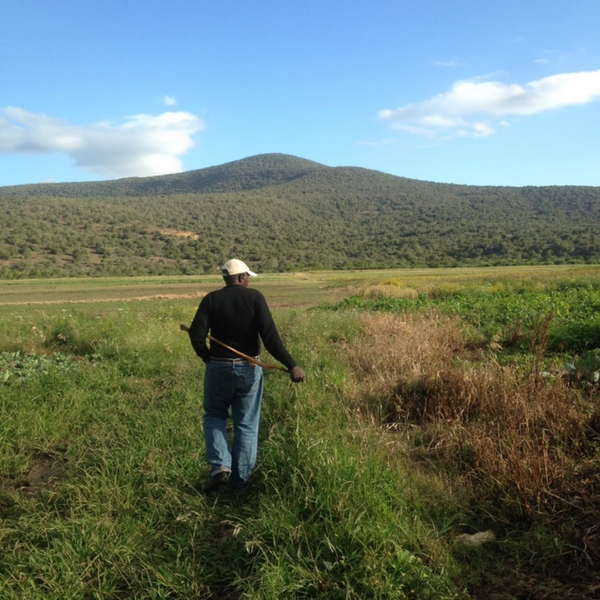 One of our new catalyst partners, Ntinga Ntaba kaNdoda, is a vibrant rural community movement that mobilises for rights, democracy, land reform, and sustainable rural development located in Keiskammahoek, Eastern Cape, South Africa. Started in 2002, Ntinga Ntaba kaNdoda was formed by community members as an organization to help propel the work and vision of the community forward. Starting with the name, Ntaba kaNdoda is a nod to a historically significant mountain while the name Ntinga means “to soar” in Zulu. It is clear that Ntinga Ntaba kaNdoda is the creation of a community that is committed to maintaining its Indigenous knowledges and that seeks to to mobilise and catalyse people power to transform the lived realities of the member villages. Their goal: self-determined communities based on principles of justice and imagination. The work of Ntinga Ntaba kaNdoda reaches 42 villages in Keiskammahoek, approximately 400,000 people. The coordinating headquarters of the organization is on a 4-hectare site that the Rabula community gifted to Ntinga Ntaba kaNdoda. When I visited Ntinga Ntaba kaNdoda in November 2016, the members and staff of Ntinga Ntaba kaNdoda had built a rondavel where community meetings and workshops were held and they were doing their administrative work out of two rented rooms at a neighbouring house that they were using as their office space. As I learned more about the organization and the surrounding communities, community members and staff showed me their future plans for a multi-purpose centre on the Rabula site. The plans included a learning agroecology farm and centre, an early childhood development centre, a recreational and learning centre for the elderly, a heritage museum, sports facilities, meeting rooms and offices, a community hall and a roadside farm stall. These plans reflected the mandate that Ntinga Ntaba kaNdoda has been given by the community members: to build spaces where the community can have somewhere to come together, vision, and build with one another. The desire to build this multi-purpose centre was propelled by community self-determination. The idea of a community mandate is what is important about the work of Ntinga Ntaba kaNdoda. The General Assembly, the highest decision making body of the organization, is held annually. In addition to the General Assembly, there are Village Assemblies through which community members participate in creating the working mandate for Ntinga Ntaba kaNdoda’s work based on what was agreed upon at the General Assembly. Nestled in the mountain of Ntaba kaNdoda, a site of African resistance to colonialism, Ntinga Ntaba kaNdoda ensures that the lessons of African freedom fighters continue to be explored through an annual heritage festival. Past festivals have included a visit to the grave of Maqoma, an anti-colonial resistance strategist, leader and military commander, musical performances, poetry and book readings, Indigenous dances and games, as well as izidlo zikaNtu cuisine. In 2012, Keiskammahoek community members did a traditional cleansing of the site given the violence committed during the apartheid era of the Ciskeian homeland and preparation for the reconstruction of the Maqoma Memorial at Ntaba kaNdoda. Ntaba kaNdoda is currently working with the Amathole District Municipality for the resuscitation and official declaration of Ntaba kaNdoda as a South African heritage site. Such a declaration is believed to be a key step in the development of the Keiskammahoek Heritage Route. In addition to Ntaba kaNdoda, the route will include other historical sites as well including: King Ngqika’s grave, the site of the Burnshill Wagon Battle, Fort Cox, Sandile Dam, Booma Pass, Princess Ntsusa’s grave, Dyirha’s cliff, Mount Hoho, Khoi sites, German graves, rock art sites and local forests. The work that Ntinga Ntaba kaNdoda is visioning and building in Keiskammahoek is creative, African centred, imaginative, and exciting. At a time when the onslaught of state collusion with corporate power, industrialized agriculture, climate change, land grabs, and economic injustice continue to rise in Africa, the communities of Ntinga Ntaba kaNdoda are doing important propositional work. The communities of Ntinga Ntaba kaNdoda are exploring pathways of building community through self-determination and balance with the earth. And along the way, they are learning and inviting African communities to join their exploration of agroecology, solidarity economics, and youth-centered leadership development.